Once upon a time, Snapchat was just a hangout for the teen crowd trying to avoid their parents on Facebook. Now it’s one of the most popular social networks in the world with more than 200 million users. A whopping 71 percent of Snapchat users are 34 years old or younger, according to a study from BI Intelligence. The app was initially popular among high school students but has now gone mainstream with college kids, young professionals and plenty of other people using the app every day. For brands targeting a younger audience (which is almost all brands), taking advantage of Snapchat for business is a no-brainer. In some cases, brands have large followings on other social media channels. However, Snapchat offers you a completely new way to reach your audience. Snapchat is the new age of advertising, and you will realize that in social media, it’s not only about how many followers you have, but the level of engagement that comes with it. Since Snapchat allows you to swipe through all stories and updates, it allows businesses to have more opportunities to interact with their communities — even more so than Facebook or Twitter. Snapchat is also special because after 24 hours of posting on their ‘My Story’ feature, the update is gone, which means engaged users will revisit your account often to check for new updates. Jerome Jarre made a name for himself on Vine in 2013, gaining 7 million followers before migrating over to Snapchat (like many others). With a 1.5 million Snapchat followers, it’s no surprise that when Jarre showed up outside of Snapchat’s offices and tweeted “Hey Snapchat, I am outside your office. Let me in if you see this,” the hashtag #JeromeInsideSnapchat became the №1 trending topic in both the United States and United Kingdom. 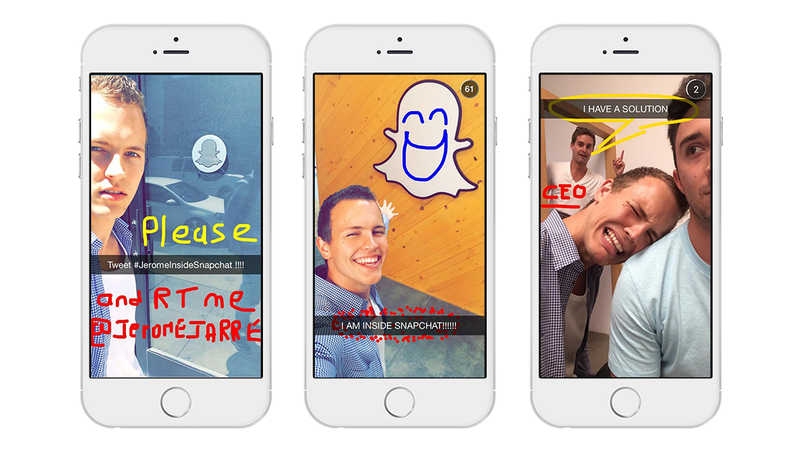 Not only did Snapchat let him inside, but Jarre, got to take a Snap with CEO Evan Spiegel. There’s no pressure for Snapchat business users to be perfect compared to other platforms such as Facebook, Twitter or Instagram. Snaps disappear after a few seconds, and you’re encouraged to add quick drawings or captions to the photos or videos you record. Snapchat is designed to only allow you to produce content that you’re creating with the camera on your phone. There’s no uploading stock photos of perfect smiles. Snapchat makes you capture moments. It allows you to show off the human side of the brand. Your stories on Snapchat should make you feel like a friend to your audience, providing a personal look — rather than a corporation aiming to move product. Snapchat gets 2 billion more video views than Facebook. That’s right, while Snapchat’s user base isn’t nearly as big, they’re very engaged. When it comes to social media marketing, high engagement trumps user count in nearly all scenarios. With Snapchat, users are consuming huge amounts of content daily and actively using the platform, making your job as a marketer much easier. 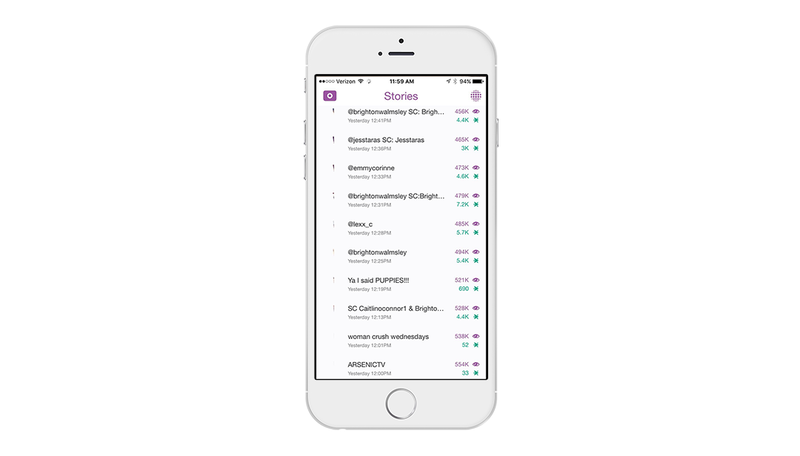 People want to consume content on Snapchat — all you have to do is get it in front of them. Check out this data on Arsenic Magazine’s Snapchat account. Notice the numbers of viewed snaps (on the right-hand side) is in the hundreds of thousands. Some even cross a half million. Now that’s engagement. Who are your favorite brands on Snapchat? 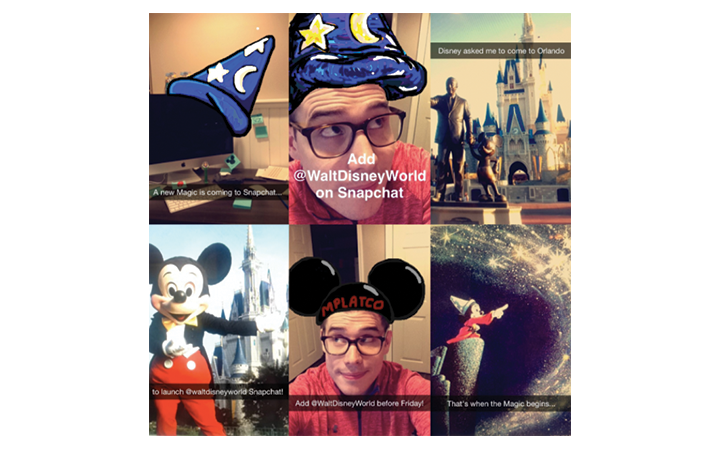 What business strategies do you think work best on Snapchat? Sound off in the comments section below.